Gucci, Givenchy, Dolce & Gabbana and all the other big guns we secretly dream of collecting if we had the money, right? Well, I am not too sure about that! After collecting some high end items myself, I realised that it might not always be worth your precious coins. Invest smart, and you will probably not regret your next splurge in the world of luxury. After struggling with basic tops for years, always complaining that they don’t fit well, don’t wash well etc. 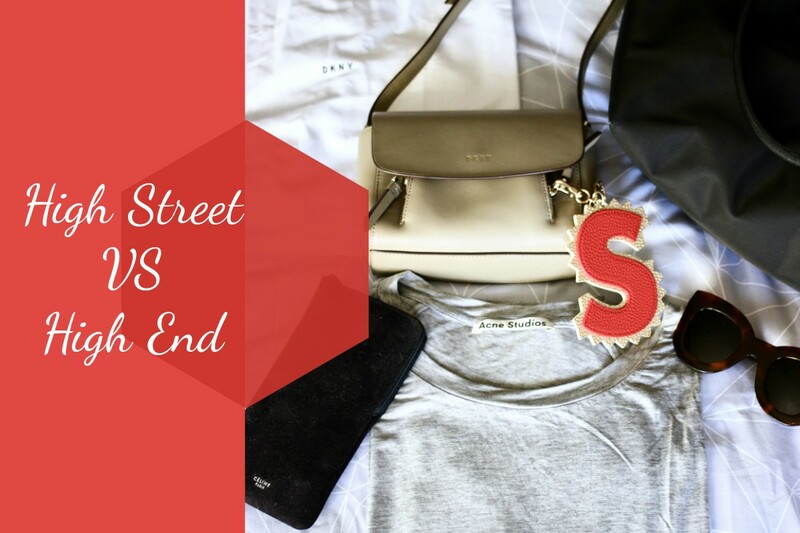 I decided to pick up an Acne Studios grey t-shirt when I went to their outlet store in Stockholm. The top is made of the softest cotton I have ever felt, however this is also what makes it an extra delicate item. I wore this ONCE, tucked into a pair of trousers and I ended up with a whole… This is definitely not what I am looking for when buying clothes. With any other top I would’ve been less heartbroken, but because this was quite an expensive top considering it is just a basic t-shirt I was definitely not amused to say the least! In all honesty, just invest in those things that people will actually see. Not to brag, but also because when living in colder countries you are mostly covered anyway. Therefore, it might be a good idea to invest in a coat that will keep you warm, that looks stylish and that will last you for a long time. This is what I intend to do next winter, as I keep buying new coats every year that I end up giving away the year after. The same goes for shoes, we don’t want to make your feet suffer now do we? It is true that more expensive shoes tend to be much more comfortable. Having a good quality bag, that is well-structured, will instantly make any outfit. I have really discovered a love for designer bags this year, one that is a bit dangerous as I keep buying new ones… But it just gives me so much joy whenever I am carrying one of my babies, I mean bags, that it is worth the money. Another thing to invest in are your accessories, anything from sunglasses, dainty jewellery and phone cases are things we use constantly and that could do with a quality update. There is nothing wrong with treating yourself every once in a while! Just make sure that you are spending your money wisely. 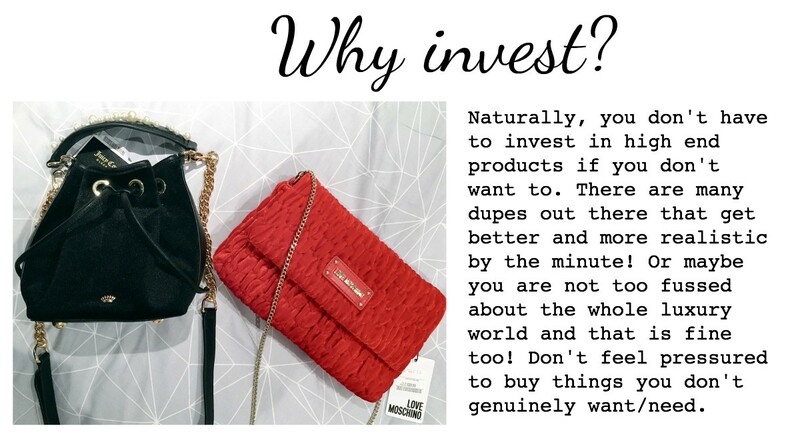 Would you invest in high end products?